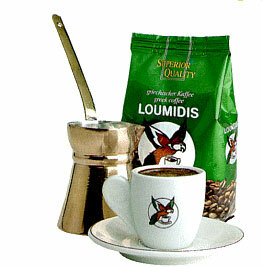 Apart from the Greek coffee known to everybody as frapped there is also another kind of Greek coffee which is also popular. The difference in relation to the frappe is that this kind of coffee is served only hot, in a small cup, adding as much sugar as you want to it and no milk. 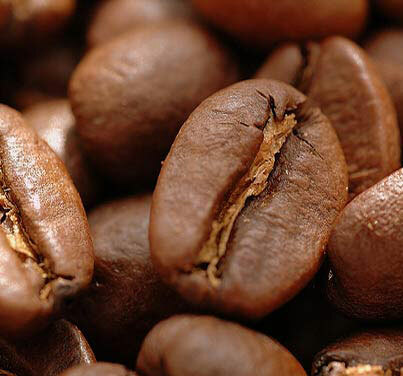 You can drink it very sweet or without sugar if you want to but milk will change and possibly ruin its taste. You may hear referring to it as Turkish as well since it is quite common in Turkey as well. 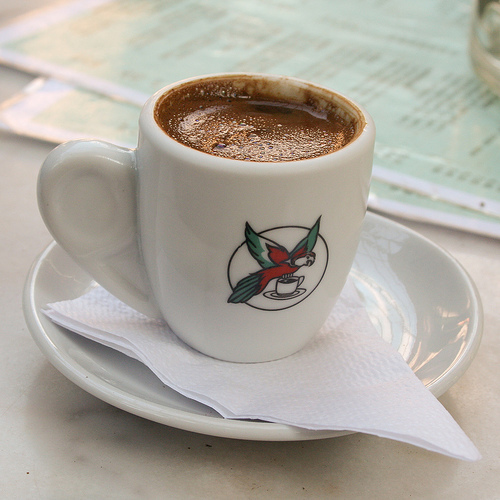 Although younger people prefer the frappe, this kind of coffee is more traditional and loved by people of older age while it is usually ordered in traditional cafes in Greece called "kafeneia" where usually men go to chat, read newspapers, smoke and just sit around waiting for time to pass. 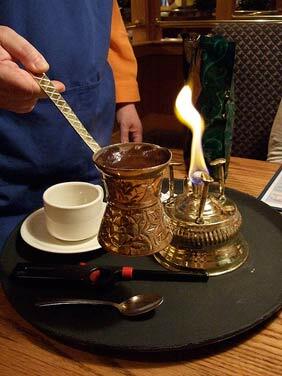 Below you will find all the ingredients and steps that you have to follow in order to prepare on your own a cup of warm, Greek coffee.